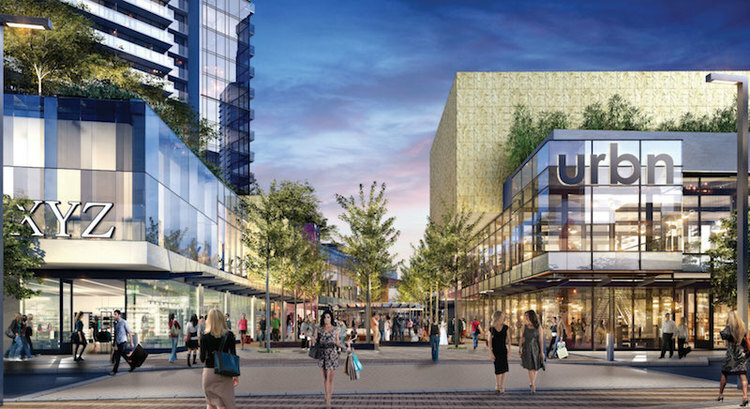 Currently under construction, The Amazing Brentwood will become one of BC’s largest shopping centres with an excess of 250 stores and restaurants. The existing 500,000 square foot centre will be transformed into a mixed-use super regional shopping centre featuring in excess of 1.1 million square feet of retail space and 1.2 million square feet of underground parking. 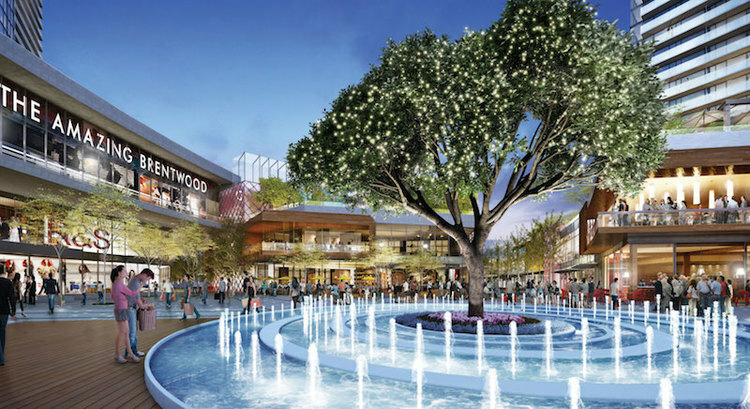 Brentwood Interior, the centre’s indoor component, will feature about 100 retailers in over 500,000 square feet of space as well as more than 25 restaurants in 36,000 square feet of space. The mall’s anchor retailers will also be housed in this part of Brentwood Town Centre. Brentwood Boulevard, an outdoor retail street, will feature 22 retailers in 70,000 square feet of space, as well as two restaurants occupying approximately 10,000 square feet, plus some 4,000 square feet of restaurant patio space. Brentwood Boulevard’s design is inspired by some of the world’s most iconic high streets. West Mews and Grand Lobby will feature 17,000 square feet of retail space, as well as a further 4,000 square feet for at least six restaurants, excluding approximately 1,500 square feet of patio space. The area will offer one-of-a-kind brands, designer stores, and unique restaurants. The Plaza will be a one-acre open-air social hub featuring fashion brands mixed with patios, pubs and casual dining. It will feature 15 stores as well as six restaurants spanning over 30,000 square feet, plus 7,100 square feet of patio space and 4,000 square feet of garden rooftops. Also, three of the restaurants at The Plaza will be multi-level, according to plans.